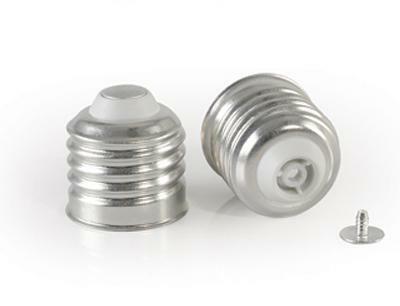 To make aluminum lamp base cap, first stamping and then tapping into spiral shape, thinner materials and to withstand the pressure. Therefore, the 3004-O aluminum strip need to be with high mechanical strength and uniform microstructure and deep drawing property. Currently haomei aluminum use the flat ingot hot rolling for producing blank holder with 3004-O aluminum alloy strip. To make this 3004 O aluminum alloy strip, we have to control the composition of the material and cast rolling process, the high temperature uniformity of annealing and final annealing process, it have good deep drawing quality, enough strength, good formability. Application: Lamp Base , Lamp Cap, etc.